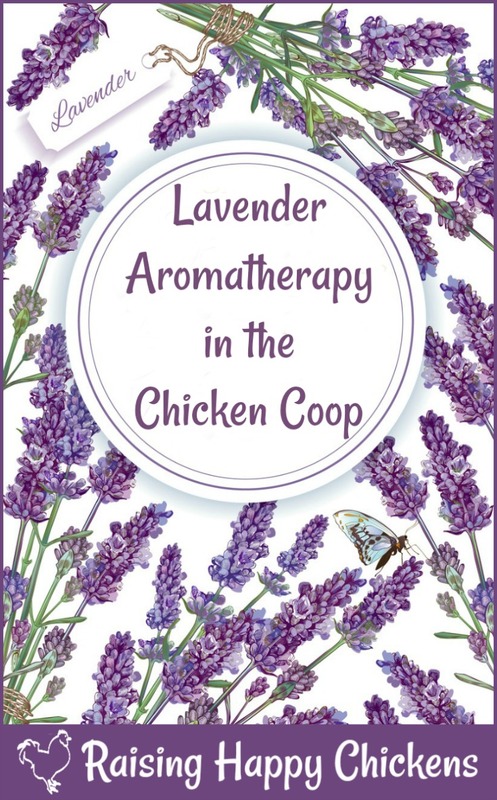 Lavender aromatherapy for chickens - all you need to know. 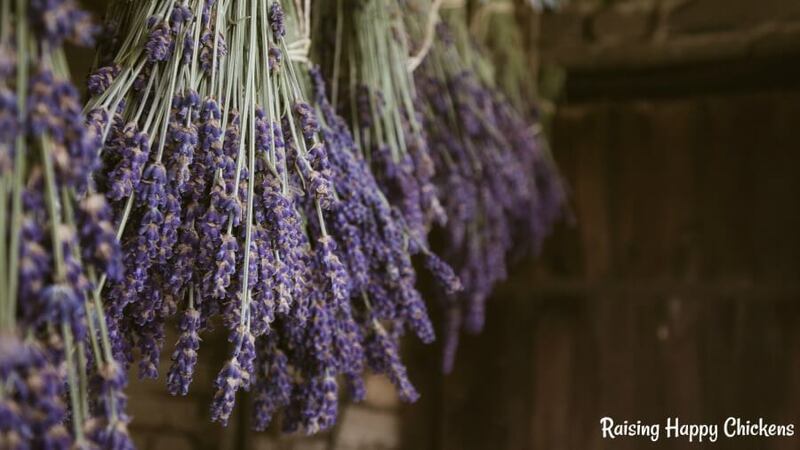 If you want laid-back, healthy hens, bug control in the coop and a pretty run, you can't go wrong with lavender. Here's why. Let me be honest about this. I've written this article because I love lavender and I use it as a relaxing aromatherapy oil for myself. I grow it in our garden in Italy and in my chicken run, and I hang bunches of it as soon as it flowers, both in our house and in the chicken coop. There's no actual scientific research that I'm aware of about the medicinal benefits of herbs specifically for chickens. There's a lot of anecdotal information on the internet singing its praises. And it's known to be a gentle herb which won't harm your chickens, even if they eat it. Herbs can be a great addition to the holistic treatment of your chickens' health. As long as you don't believe that your chickens can be cured of virtually any ailment with herbs alone, you won't go far wrong. So here's what's good about lavender as far as I - and my chickens - am concerned. In humans, fairly extensive research has shown that the smell of lavender can lower the heart rate and reduce blood pressure(1). There have also been tests on rats which show that being exposed to its oil for seven consecutive days substantially reduced anxiety(2) and similar research on mice and rabbits with both the oil and dried flower buds have produced the same results(3). There haven't been any tests performed on the effects of lavender on chickens, but given its calming effects across the broad spectrum of other creatures, it's probably right to say that it can help calm chickens, too. How to use it: nest boxes and broody hens. Hens dislike noise and prefer to be undisturbed and relaxed as they lay, so may appreciate an occasional touch of lavender in their nest boxes (although be aware - I've seen it occasionally send them to sleep in the middle of laying!). 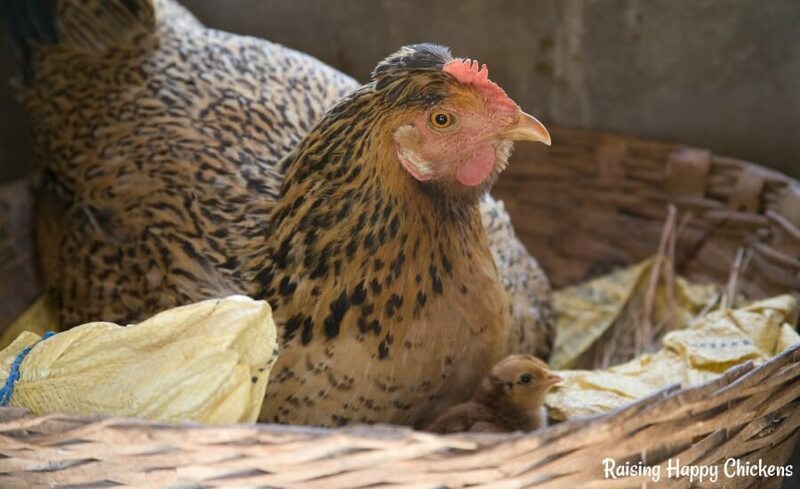 Broody hens too will appreciate a bit of calm and relaxation as they hatch and then care for their chicks. The majority of research has been done using lavender oil, which is extracted from the flower buds. Be careful when using concentrated aromatherapy oils - sprinkle a couple of drops on nest-box bedding, but make sure it's mixed in thoroughly. I occasionally put a few drops in a carrier oil (like sunflower) on a saucer on the window ledge above the nest area (I do not heat it), but more commonly I will add dried lavender buds to the bedding. Don't use fresh herbs in nest boxes unless you're prepared to refresh them every couple of days. It can go mouldy and cause the bedding to become infected and smell - but not in a good way. One of the other outcomes of research with mice is finding that lavender is able to calm aggression(4). It goes hand-in-hand with its effects of calming the central nervous system: a less heightened state of awareness is bound to follow. Will it calm an aggressive rooster? The evidence is that aromatherapy effects are not particularly long-lasting. So while an aggressive roo may become more mellow when he's in the immediate vicinity of lavender, it's unlikely that he would remain that way once outside the coop. It's worth a try, but don't expect it to stop that roo from attacking you if that's the way he usually is. Sometimes, the only thing to do with an aggressive roo is re-home. How to use it: in the roost. If you'd like to try lavender's calming effects in the main roost, sprinkle some dried buds in whichever type of bedding you use. Again, don't use fresh herbs in bedding - it will rot unless you change it very regularly. 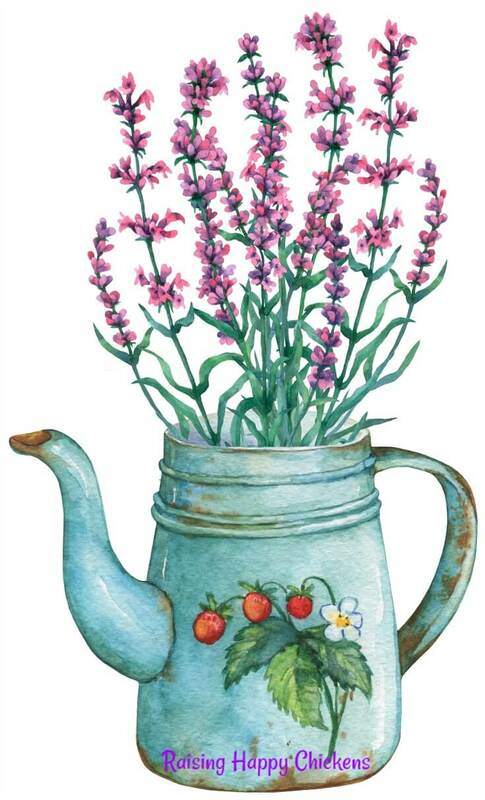 Alternatively, hang some bunches of fresh lavender around your coop. That's what I do and, if nothing else, it makes the place smell nice! The benefits of lavender oil for healing wounds. Medical research has evidenced the antibacterial value of essential oils(5), tea tree being the most potent and lavender, along with peppermint and thyme, coming a close second. Tea tree oil, in fact, was found to be effective in combatting bacteria as powerful as MRSA. 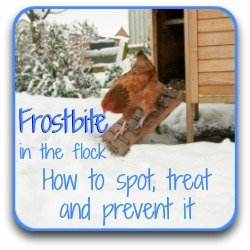 So it follows that using a combination of tea tree and lavender oil for any kind of chicken wounds can help. How to use it: combine oils for a powerful antiseptic. In a bowl, add 2 cups of warm water (use bottled if your tap water has a lot of chemicals), then 5 drops of lavender oil and 2 of tea tree. Use cotton wool or a cotton bud to apply the liquid to the wound. Never use essential oils near the ears, eyes or nose. Lavender as an insect repellent. Do you ever remember your grandma's clothes smelling of lavender? That's because it's been used for many centuries as an insect repellent - including hanging sachets in wardrobes or placing them among clothes and linen in drawers to keep moths away. 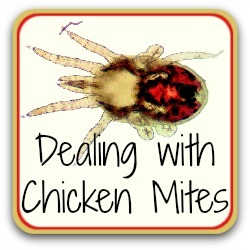 Chicken coops are notorious for attracting flies, especially in hot summer months. Personally, I dislike fly traps of any kind intensely - I once tried the "red top" and was nearly physically sick. Apart from the obvious ways to keep flies at bay - keeping bedding clean and dry, scooping poop daily, removing wet or unused food - lavender can help. How to use it: grow your own, and spray flies away! Growing some bushes around the doors to your chicken coop can help. The chickens may try to eat it and that's fine - it's not harmful. Mine avoid it at all costs. It's apparently quite a bitter taste (how does anyone know that!) and chickens are quite good at avoiding things that taste nasty. Make your own spray: Mix 25 drops of lavender oil and the same of either grapefruit or eucalyptus oil, with 2 oz of water (distilled or bottled if possible) and 1.5 oz witch hazel. Put into a spray bottle, shake before you use and spray liberally in your coop. In conjunction with planting bushes and hanging bunches, it's a pretty effective bug deterrent - and a nice smell. Whether you believe in using natural remedies for your flock is entirely a matter for you, of course. There is scientific evidence for the value of lavender, as evidenced here - but it's not an answer to everything and each chicken keeper must make her or his own decision about what's right for the flock. I don't believe that lavender will cure all my chickens' ailments, and I may be deluded to think it even makes them relax. But it certainly doesn't hurt and my experience is that it has done some good for my flock. And, whatever your views, it definitely makes for a sweet-smelling coop - and a gorgeous-looking run. Some lavender products to help you on your way to a healthy, sweet-smelling coop. If you liked this page, you may also find these useful. Click the pic! 1. Houlivand, Pier, et al: Lavender and the nervous system. Pub. US National Library of Medicine, 2013. 2. Hritcu et al: Effects of lavender oil inhalation on improving scopolamine-induced spatial memory impairment in laboratory rats. Pub. Phytomedicine, 2012. 3. Buchbauer, G et al: Aromatherapy: evience for sedative effects of the essential oils of lavender after inhalation. Pub. Zeitschrift fur Naturforschung, 1991. 4. Linck, V.M. et al: Effects of inhaled linalool in anxiety, social interation and aggressive behaviour in mice. Pub. Phytomedicine, 2010. 5. Hartman, G. and Coetzee, J: Two US practitioners' experience of using essential oils for wound care. Pub. Journal of Wound Care, 2013.